Saluki was a relatively obscure Norwegian band of the 70s who released a single album in 1977, then faded away. That album is a decent effort in a jazz-rock style, with funky rhythms and a horn section, though some of the more ballad-oriented material hasn’t aged well. Not as idiosyncratic as Funkadelic, but plenty of fun. 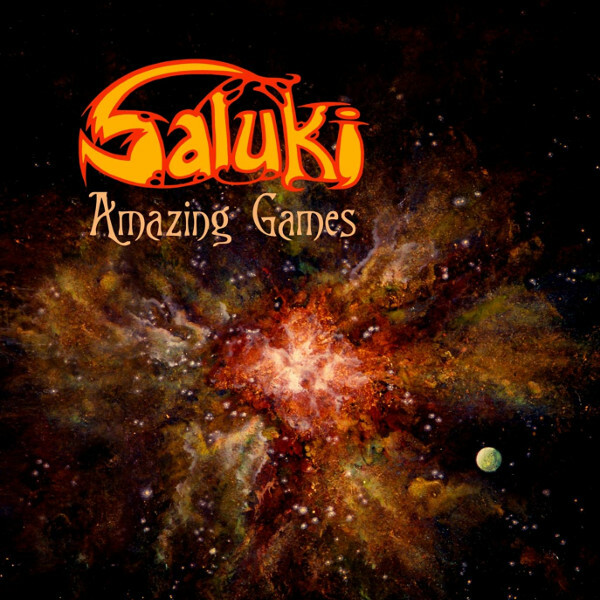 40 years after that one release, Saluki is back with Amazing Games, which is in a similar style, though leaning more towards rock and less to funk. As such, it’s a decidedly middle-of-the-road effort, with little to set it apart from anything else. It sounds like an unremarkable album of the late 70s with occasional modern touches in the keyboard sounds. It’s pleasant enough while it’s playing, but there’s nothing to remember once it’s done. So unless you’re a die-hard fan of the original Saluki album, I’d recommend a pass on this one. It’s just too bland to be of much interest.